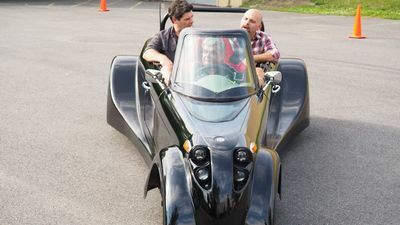 From all across the U.S., builders, engineers, carpenters, and more are among the many makers who are using their hands, their wits and their know-how to invent amazing products to expand our everyday experiences. For so many makers, getting an invention into the hands of consumers is a difficult, sometimes impossible obstacle to overcome. 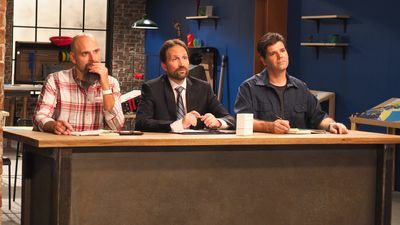 Science Channel's ALL-AMERICAN MAKERS gives these all-American do-it-yourselfers, innovators and entrepreneurs the opportunity of a lifetime - to turn their big ideas into big money. 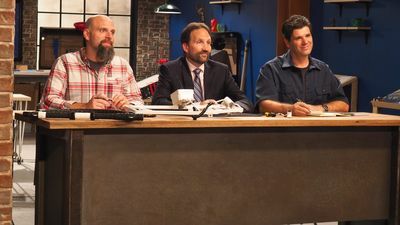 Every week on ALL-AMERICAN MAKERS, four top makers from around the nation pitch their products to a panel of three experts, venture capitalist Marc Portney, Printrbot founder and owner Brook Drumm and mechanical designer and robotics expert Brian Roe, for the chance to cut through the clutter and get their products to the public. Each maker's homegrown idea is put through a chain of demanding tests by Roe and Drumm to find out how the product works and if it can stand up to the maker’s claims. If the product passes this first examination, they are taken directly to real consumers who put the products to the test. Drumm and Roe’s comments, coupled with the consumer feedback, are presented to Portney. The makers’ fates are in his hands as he decides whether to invest his own money to bring the product to store shelves. Products featured on ALL-AMERICAN MAKERS this season will include self-heating windshield wipers that will no longer require car owners to scrape snow and ice off their frozen windshield, a skull cap able to protect an athlete’s head by adding additional impact protection, a smart phone case that can print photos instantly without the need for ink or dye, and the ultimate carry-on luggage that includes USB outputs for charging electronics and a vacuum compression system that allows a traveler to pack twice as many clothing items into a single suitcase.